These are leather pocket slips for folding knives. 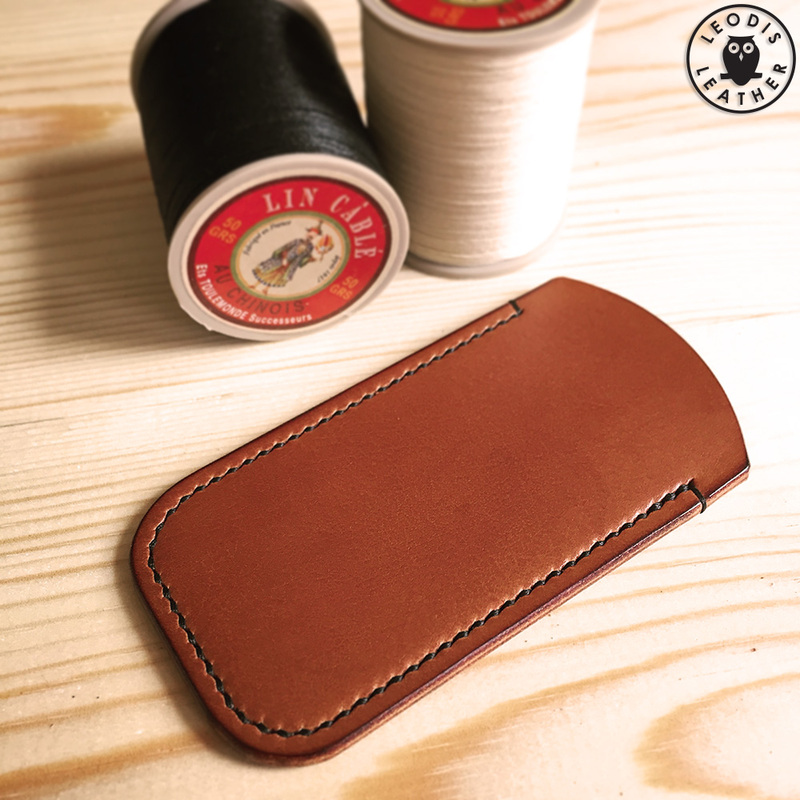 They are designed to cover a knife when left loose in your pocket, both to stop the knife from scratching other items such as a phone and also to stop the knife itself from being scratched by pocket change or other items. 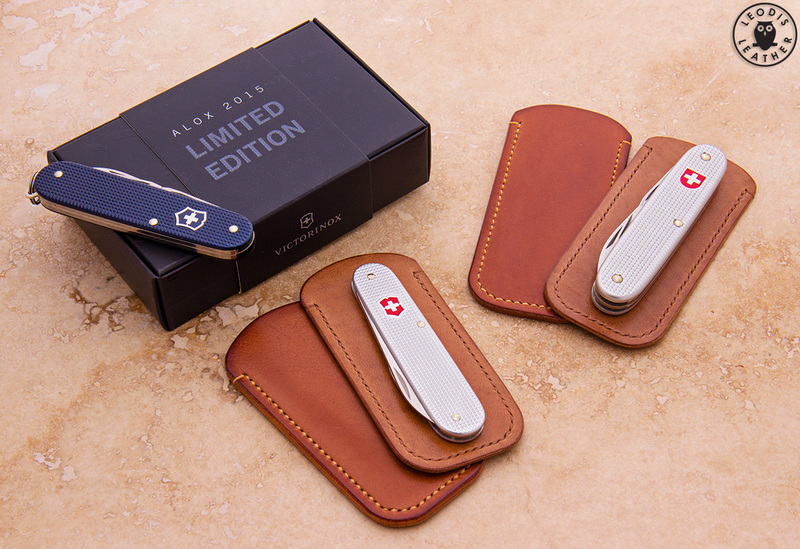 There are a lot of models of Alox knives from Victorinox, however many are the same size with different toolsets. For this reason I make a few sizes of pouch and each pouch will fit multiple models of knife.